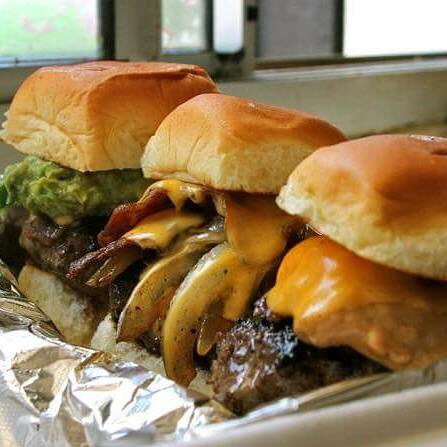 "They do sliders and they do them right! I've had everything they offer including the special catfish slider. Every one of them has been delicious." "Their specialty sliders are some crazy concoctions with toppings ranging from crushed doritos to pico and cream cheese. "Tried these guys at the point, man, you can't go wrong with the absolute best. He's merging flavors to create awesome food!" find out what's on the grill and connect with us!